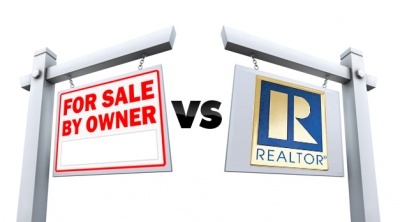 Why Use a Realtor® Versus Selling Your Home Yourself? There is a HUGE difference between selling your home yourself and hiring a REALTOR®. The selling process can be costly and stressful, and requires real estate knowledge. While some owners are equipped to sell their home themselves, others are not. Nu Home Source Realty has prepared the advantages and disadvantages to both; using a REALTOR® and selling the home yourself. You do not have the REALTORS® fees. Buyers may be more relaxed talking to you about living in the home, since you do live in the home! You will not have the broad market exposure which means that you may not get the best price for your home. Your assume a higher risk and liability. You may have to pay the buyer’s agent. The job to sell your home is time intensive. You may have to hire an attorney to prepare the contract. How do you manage who is viewing your home? How do you manage feedback on who viewed your home? Do you know anything about who will be coming to walk through your home? Are the people viewing your home qualified to buy or just looking? REALTORS® are professionals who sell real estate for a living. They have the knowledge and experience necessary to make sells happen and are experts in specific areas. You have a greater volume of exposure. Our REALTORS® have net presence which they advertise your home through, engage in print ads, and other areas to market the home. When you sell the home yourself, you do not have the exposure or resources to the same marketing tools as a REALTOR® and you must pay for the advertising. REALTORS® follow a strict code of ethics. Our REALTORS® are on top of the current market values and trends and are able to set a competitive listing price based on area comps and the value of your home. REALTORS® are skilled in real estate law, contracts and sensitive to fine print. You will be required to pay the agent’s commission. Our REALTORS® are EXPERTS in the Dallas – Fort Worth market! We are one of the most visited Dallas – Fort Worth real estate websites with over 120,000 visitors each month and growing! We invite you to contact us so that we may assist you in selling your home, by providing you the best advantage on today’s market that will yield the most value from your home.